For 3yrs old & above and for Adults. By buying this product you can collect up to 50 loyalty points. Your cart will total 50 loyalty points that can be converted into a voucher of $ 0.50. 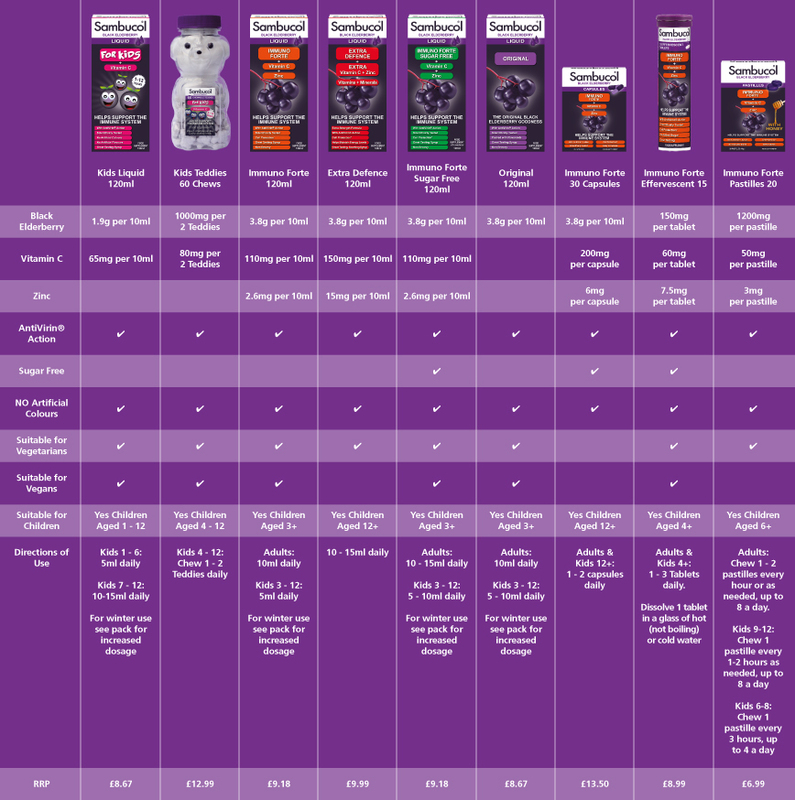 Sambucol Immuno Forte contains all of the goodness of original Sambucol with added Antivirin, Zinc and Vitamin C.
Sambucol has the equivalent of up to 1000 black elderberries in every bottle, making it the tastiest way to support a healthy lifestyle. Glucose Syrup, Black Elderberry Juice, Purified Water, Vitamin C (Ascorbic Acid), Acidity Regulator: Citric Acid, Zinc Gluconate, Preservative: Potassium Sorbate.